You can download the PDF version of this post HERE. Trusts have been hot in China recent years esp in the financial sector of China economy. As a business and family lawyer in China, I find it intriguing how the trust mechanisms can help with respect to estate planning for wealthy Chinese and business planning as well, which has prompted to further explore the world of trusts. Typical of a practitioner in any civil law jurisdiction, I find it a pain to practice an area of law if I cannot fully understand it theoretically and systematically. Trust law is apparently the biggest pain I have experienced so far. Indeed, I found myself running into a dizzy jungle. As is an openly known problem in any civil law jurisdiction, a trust does not in any way fits in the existing civil law theories or in other words, no theory can properly explain the nature of trust, the duties, rights, powers or obligations of the parties to a trust. While in common law countries, a trust is practically structured with the trustee holding legal title to the trust property and the beneficiary holding equitable title, which is characterized in civil law as dual ownership incompatible with the concept of ownership in civil law jurisdictions, civil law practitioners simply cannot accept the idea of having two ownership over the same piece of goods. With this difficulty, trust laws in civil law countries often dodge the issue whether the ownership of trust properties will shift from settlor to the trustee. For example, China Trust Law when defining the concept of trust provides: a trust as used in this Law refers to the settlor, based on the trust in the trustee, entrusting proprietary rights to the trustee who, pursuant to the wishes of the settlor, manages or disposes of the trust properties in its own name, for the benefits of the beneficiary or for a specific purpose. So in this definition of trust, China Trust Law does not make it clear whether the property title will be vested in the trustee or not, despite another provision in China Trust Law requiring that trust registration shall be made when the trust properties is of the kind required of registration by laws and regulations, mainly real properties, IPR and shares. Stemming therefrom, there are other related issues about trust theories in China, for example the nature of the beneficiary’s right in the trust property, right in personam or right in rem? The best way to understand a certain legal system is to trace its root in history and see what caused its debut and how it took root. I landed a good article about UK land history on the internet by Kevin Boone or on Wikipedia . Literally, a trust was created back then by land owners to retain the land within the family (generally before their descendants becoming eligible to inheritance of the land) by splitting the holistic land ownership into the legal title and the equitable title, a mirroring of the then English common law and equity law judiciary systems. With the splitting of holistic ownership, the legal title owner, the trustee, is bestowed with the powers to possess, manage and even dispose of the trust properties, appearing as a true owner to the outside as recognized by the common laws, but the trustee shall have no right to enjoy the benefits of the execution of its powers, as he or she is supposed to transfer such benefits to the beneficiary owner; on the other hand, the beneficiary owner, while recognized as an owner, is basically deprived of or precluded from exercising those powers incidental to any typical ownership, and instead is entitled to enjoy the benefits stemming from the trust properties (both the corpus and income). This ownership splitting has given rise to the so called dual ownership/title doctrine of trusts, as is widely known to legal professionals in China. It is widely believed that the dual ownership doctrine of Anglo-American trusts cannot be properly fit into civil law systems, mainly due to the incompatibility with the civil law concept of ownership in properties. So it is highly worthy to examine and understand the concept of civil law property ownership. c. A full property ownership right must have the four elements as outlined above, namely, the possession, use, benefiting, and disposal. Logically, the absence of any one of the four elements will render the property right a non-ownership right. In China property law, while these four elements are virtually claimed by all to be the indispensable elements of a property ownership right, scholars have come to describe the elements as 权能 (or “Quan Neng”) of the property ownership right without going further to define or explain the nature of such a Quan Neng. 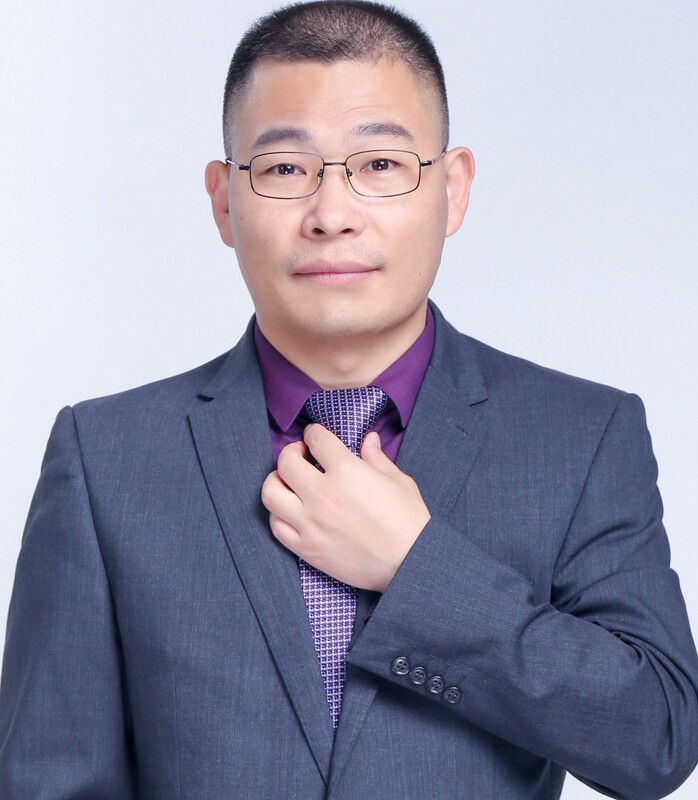 Indeed, the concept of Quan Neng has its own linguistic life only in the context of discussion of property rights among legal professionals, coined out of thin air with no historical root, making no sense to ordinary people in China. In certain sense, each of the four Quan Nengs is considered equally important. d. Given the aforesaid understanding of property ownership right in civil law systems, it is well established that there shall only be one ownership over a certain property , ruling out the possibility of creating two or dual ownership as existing in the trust law in the common law jurisdictions. The fact that the traditional theory on property rights in civil law jurisdictions cannot explain the legal practice of trusts means there must be something wrong with the theory, not with the practice. I personally believe in that there must be a correct theory that can be abstracted from and explain the common legal practices across different jurisdictions. While I am claiming a new way of understanding the civil law property ownership right, it is not a complete substitution, but rather a new interpretation and improvement of the same rules. The traditional concept of property ownership right is very much a product of behavioral laws, focusing on what acts by the right owners are allowed, subject to the limitations at laws. So the four elements of property ownership rights are the typical conduct patterns that a typical property (for example, land or vehicle) ownership right comprises. However, the traditional understanding seems to fail to discern and differentiate the functionality of the four typical elements (Quan Neng), which failure can be further attributed to the failure to recognize interests/benefits as the essential constituent of any legal right. a. A legal right can be simply equated to powers plus legal interests: right = powers + interests among which legal interests can be proprietary pecuniary or spiritual, and powers are the legal means for realizing and enjoying such legal interests. Logically speaking, a legal right is no longer a legal right if either the powers or the legal interests are taken away. However, in reality, powers and interests are capable of being physically and chronically separated. b. Another obvious and critical point in understanding a legal right is that the exercise of powers incurs costs, the cost of time, efforts, money, physical force etc. Therefore, due to various reasons, such as lack of time, lack of skills or knowledge, or incapability, the right owner may wish to temporarily authorize or permanently transfer to, someone else to exercise his or her powers to bring up the interests for him or her, which results in agency and breeds trust as well. So the new understanding of civil law property ownership right is rather a logical byproduct of the new jurisprudential interpretation of the relationship between right and power for which topic you can click here for more. Accordingly, an ownership right is the ownership power plus the interests derived from exercising such powers. So with this new understanding of civil law property ownership right as outlined above, we can now offer a theory that can accord proper explanation and understanding of trusts in both civil law and common law systems. Before moving to the point, let us look a second look at the dual ownership doctrine in Anglo-American trust laws. It is said that the trustee has the legal title to the trust property and the beneficiary the beneficial title, but the adjectives “legal” and “beneficial” have actually given out a clear message that the two titles are different in nature, despite the so-named “dual title”. The legal title owner is not entitled to the benefits generated from the trust property, and the beneficial title owner has not way to control, manage or dispose of the trust property. In essence, the two titles are different in contents, thus there is no direct conflict between the two titles. a. A trust is created by the settlor by way of deconstructing his full property ownership right, vesting the ownership powers and ownership benefits in different parties. Overall, there is still one ownership right over the trust property, not two, not dual. However, for a full property ownership rights, the powers inherent in the rights can be broad, but when a trust is settled on the such properties, such powers may not necessarily be conferred in full on the trustee, subject to the restriction or limitations contained in the trust document. The existence of restrictions imposed by the settlor through the trust documents and right of terminating the trust in certain circumstances signify that it is the owner of the primordial ownership right that really dictates the trust arrangement in terms of duties, powers and interests of each party thereto. Despite the paramount role of the settlor in the creation of the trust, the settlor shall be no longer considered in any sense the owner of the trust property. On the other hand, the settlor by entering into the trust agreement with the trustee, acquires contractual rights thereunder to influence and intervene the trustee, in addition to some other rights prescribed by the law. b. The trustee of a trust does not hold a true property ownership right but only the powers incidental to and inherent in that ownership right. As it is only powers vested in trustees, it does not constitute a full ownership right. As said above, powers are the legal means allowed by the laws for the right owners to realize the interests contained and embedded in that right. Exercises of powers can cost time, energy, skills and money, so in many cases, it is best for the property right owners to delegate or transfer such powers to someone else to do the job so as to maximize the interests in the rights. One shall need to clearly distinguish the compensation received by the trustees (in some cases) from the benefits so derived from the exercising of the powers for exercising the powers for the beneficiary. The compensation for the trustee services is a contractual right while the said benefits are the proprietary rights in respect of the trust property. c. The beneficiary of a trust is entitled to take and enjoy the interests/benefits (nowadays often in pecuniary form) generated by the trustee(s) and does not have the full ownership right in respect of trust properties, so long as the trust is validly existing, since the beneficiary will not be able to exercise the powers inherent in the property ownership rights. The interests a beneficiary is entitled to under a trust is nothing but the interests inherent in and incidental to the trust property. In this sense, the beneficiary’s right in a trust is proprietary or in rem right. However, the interests stemming from the trust properties are initially brought about and controlled by the trustee, and the beneficiary can only finally realize and enjoy the interests by requesting the trustee to transfer and/or distribute the interests in accordance with trust agreement. In this sense, the beneficiary right is plausibly of an in-personam right in nature. d. The deconstruction by the trust settlor of the property ownership right can descriptively explain the “dual title” trust structure, but we have to answer the fundamental question: what is a trust in nature? This is actually not a difficult question indeed. A trust is in essence a gift. Unlike a traditional outright gift of a property, a trust is a “calculated” gift where the property interests are donated to the donee in calculated manners over a period of time (even in perpetuity in extreme cases). From the settlor’s perspective, once the trust is set up, then he or she basically loses the ownership in the trust properties, which is the essential feature of a gift at law. But whom does the ownership rights in the trust property go to then? People may be divided in giving the answer. With my new theory described above, the answer is very clear: the beneficiary shall ultimately have the ownership rights in the trust properties. For any legal right, the interests of the right is the ultimate goal of the right owner, and in this sense, the person that is legally entitled to such interests shall be the owner of the same right. After all, the person holding the powers is supposed to and is bound to exercise such powers for the person entitled to the interests. So in the context of a trust, the beneficiary is accordingly the owner of the trust properties, though subject to restrictions set out in the deed of trust or trust agreement. The ultimate vesting of ownership rights in beneficiaries doesn’t hinder or affect the operation of trusts with outside third parties as the trustees hold the broad ownership powers that empower them to act just like a true ownership right holder. There are other important legal issues to be discussed as well which will be separated addressed later on. To some extent, this new theory can well explain the trust structured estate arrangement clarifying the misconception of “dual title” doctrine and paving the way for fitting trust into civil law systems. The whole idea may sound weird to many, in particular, the core idea of defining the right as powers plus interests. I used to present this idea to people in China legal circle, but most would think of it as sort of heresy, as in China there is an entrenched concept that “powers”, as translated to “权力(Quan Li)”, only belong to the state and its governments, and that individuals don’t have any “power”. With this concept of power embedded in legal literature, it seems impossible for any private right to have “power” as its inherent element. But it is mistaken. I sincerely invite comments of any kind on this article, and would be more than happy to communicate on the ideas herein.